"HIGH SPIRITS RUN DEEP IN OUR VEINS"
High Spirits run in our veins…What runs in yours? Creo Commercium Inc was founded by Enrique Ramos Garcia. 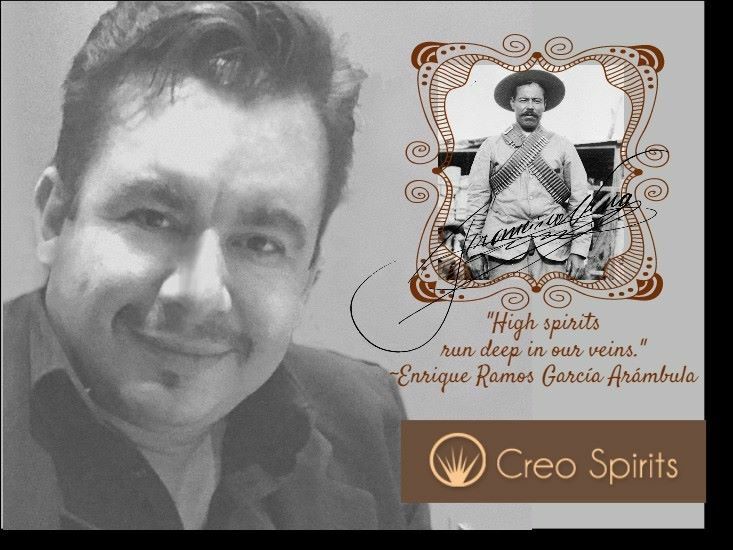 From a young age he fell in love with the small villages in Jalisco and truly enjoyed everything that the agave plant produced–from lechugillas to mescals, liquor de agaves and especially tequila. Enrique wondered why tequilas were so expensive in the US, and why some very good ones available in Mexico were not yet available for people to enjoy in the US, just like he did with his friends and Family in Jalisco, Mexico. That was when the idea ignited: to create a boutique of tequilas that everyone could afford and enjoy. 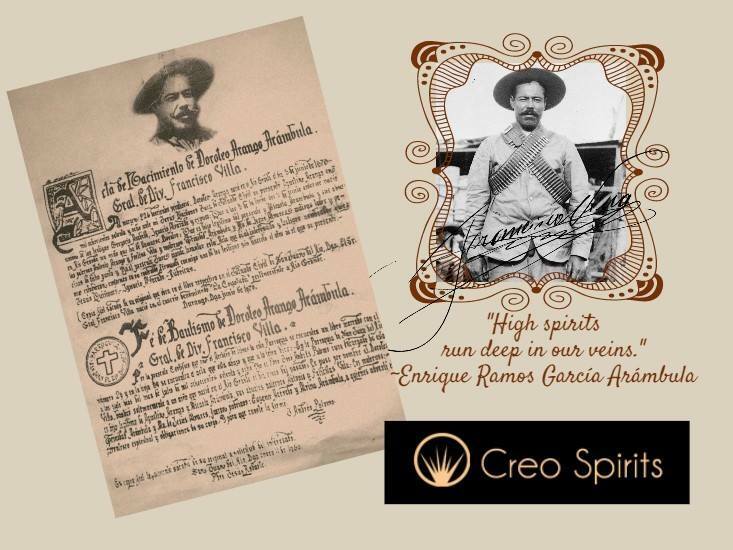 Since 2008 the company has been growing to import many premium tequilas as well as other fine spirits and wines from around the world. Enrique comes from a long line of brave, courageous and bold men and women who work hard to achieve their dreams with High Spirits. In recent years I discovered that my family had a connection with a Mexican Revolution Hero. 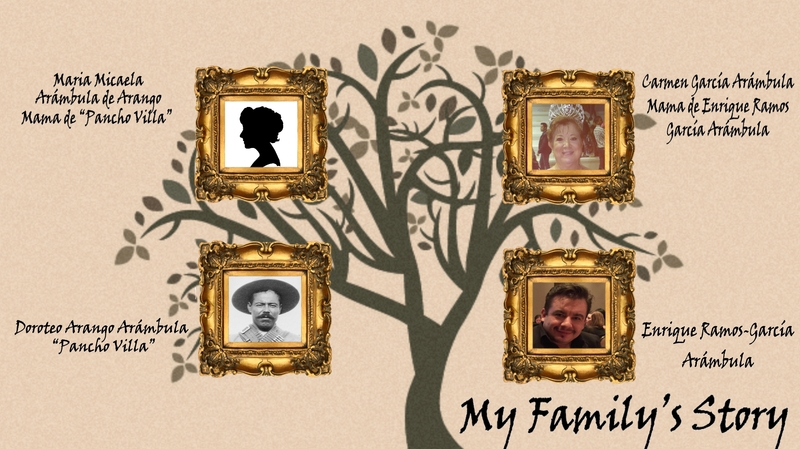 The blood-line on my mother’s side of the family, the Arambula’s, tie directly to the mother of Doroteo Arango Arambula aka “Pancho Villa, her name was Maria Micaela Arambula de Arango. Although we are still working on obtaining the details, which we will share, we are proud to know that “High Spirits”run deep in our veins.